Susan Berke Fogel, JD directs the reproductive health initiative for the National Health Law Program, where she develops and implements initiatives to advance quality and access to reproductive health services for low income women and adolescents, and to combat religious restrictions in health care. She began her legal career at the Legal Aid Foundation of Los Angeles, and previously was the Legal Director at the California Women’s Law Center. She is the President of the California Coalition for Reproductive Freedom, serves on several non-profit boards, and is Vice-President of the City of Los Angeles Commission on the Status of Women. She teaches Basic Advocacy Skills in Reproductive Health in the UCLA School of Public Health. 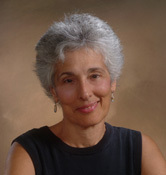 Francine Coeytaux, MPH, is a public health specialist best known for her work on comprehensive reproductive health services, abortion and new reproductive technologies. Prior to establishing the Pacific Institute for Women's Health, she was an Associate at the Population Council in New York where she initiated a worldwide program to address the problem of unsafe abortion and helped develop reproductive health activities in Sub-Saharan Africa. A founding member of the Reproductive Health Technologies Project she has worked on the public introduction of emergency contraception, medical abortion and microbicides. She served on the State of California's Advisory Committee on Human Cloning. Marcy Darnovsky, Ph.D., is Associate Executive Director at the Center for Genetics and Society (www.genetics-and-society.org), a Berkeley, California-based public affairs organization working to encourage responsible uses and effective societal governance of reproductive and genetic biotechnologies. She speaks and writes widely on human biotechnologies, focusing on their social justice, human rights, health equity, and public-interest implications. She has appeared on national television news shows and been cited in hundreds of news and magazine articles. 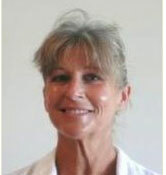 Her Ph.D. is from the History of Consciousness program at the University of California, Santa Cruz. 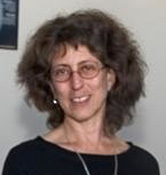 Debra Greenfield is an attorney and Adjunct Assistant Professor with the UCLA Center for Society and Genetics, where she teaches, researches and writes about issues regarding the intersection of genetics, biotechnology and the law. She has published in both legal and bioethics journals including the Hastings Center Report, the Annals of Health Law (health law journal of Loyola University, Chicago), and the magazine GeneWatch. A recently published law review in the Santa Clara Computer and High Technology Law Journal, deals specifically with the nature and patenting of human genetic material. She has also authored Briefs for Amici Curiae, for cases in both the Federal Circuit and the United States Supreme Court. 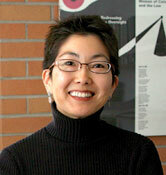 Lisa C. Ikemoto is on the faculty at University of California-Davis School of Law, a Bioethics Associate of the U.C. Davis Health System Bioethics Program, and a Faculty Associate of the U.C. Davis M.P.H. Program. She teaches bioethics, health care law, public health law, reproductive rights, law & policy, and marital property. 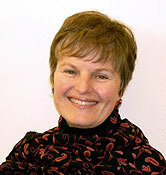 Her research areas include bioethics, reproductive justice, health care law, and public health law. More specifically, she focuses on the ways that race and gender mediate access to and impacts of reproductive and genetic technology use, health care, and law. Her recent work addresses reproductive tourism, the ways in which human gamete use links the fertility and biotechnology industries, and the privatizing effects of informed consent. 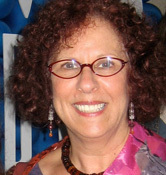 Judy Norsigian, Executive Director of Our Bodies Ourselves, is a co-author of Our Bodies, Ourselves and a member of the editorial teams for Our Bodies, Ourselves: Menopause (2006), Our Bodies, Ourselves: Pregnancy and Birth (2008), and the Our Bodies, Ourselves: Sexual and Reproductive Health (October 2011). Judy speaks and writes frequently on a wide range of women's health concerns, including reproductive health, genetics and reproductive technologies, body image, women and health care reform, and midwifery advocacy. She is a frequent media spokesperson and a board member for Public Responsibility in Medicine & Research. She has received numerous recognitions, including the 2002 Massachusetts Health Council Award and an honorary doctorate from Boston University.